JAMK University of Applied Sciences is an international higher education institution with expertise in 8 different fields of study. At JAMK we have more than 8500 students from over 70 countries. JAMK’s educational expertise is based on advanced pedagogical thinking and innovative approaches to teaching and learning, all of which are continuously developed by engaging in versatile international networks and intensive cooperation with the world of work. Take a study tour in Hong Kong, Latin America or Silicon Valley in California! The study tours abroad last from one week up to two weeks and offer an intensive introduction to the special characteristic of the cultural area. Exceptions in opening hours on 18 April. The Library is closed on 19-22 April. Over 200 exchange students at JAMK! The application period for the joint national university-polytechnic application process starts on Wednesday, 9 January, on which date programmes offered in foreign languages will be open for applications. At JAMK´s School of Professional Teacher Education, adult students are provided with the pedagogical qualification for teaching and facilitating learning. They also get practical guidance skills that are useful in various working environments. Applications for the International Professional Teacher Education Programme are accepted 8-29 January 2019. E-urheilulla bisnestä pelaajien hyvinvointia unohtamatta | Turbinaattoriblogit.jamk.fiE-urheilu on kasvava ilmiö, myös Suomessa. Mitkä ovat lajin tämänhetkiset ilmiöt ja kehitys, pelaajien hyvinvointi huomioonottaen. Entä Keski-Suomi lajissa? Jyväskylän ammattikorkeakoulu (JAMK), tradenomit shared a link. Miten kelikamera saadaan ymmärtämään kuvaamaansa keliä? 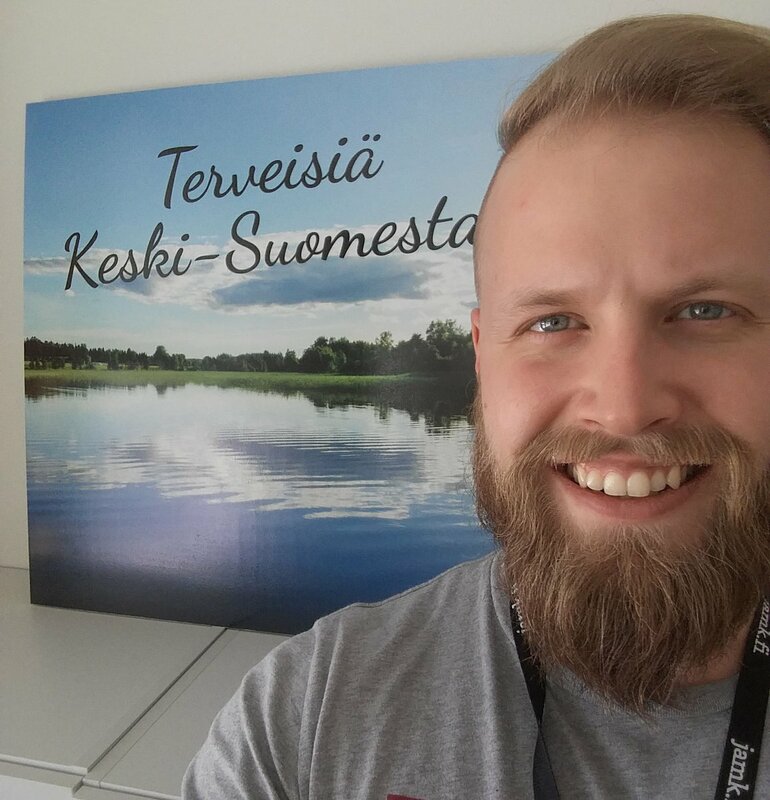 Tekoälyn avulla tietysti! 😎 JAMK ja Ilmatieteen laitos toteuttivat yhdessä projektin, jossa kelikameran kuvilla opetettiin neuroverkkoa tunnistamaan hyvän ja huonon näkyvyyden kelit maanteillä. Tulevaisuudessa neuroverkon avulla voitaisiin esimerkiksi syöttää kelikameroiden datasta varoituksia suoraan tiellä liikkuviin autoihin. Lue juttu uusimmasta asiakaslehdestämme! Welcome to read and comment the blogs written by JAMK’s personnel and students. JAMK is known for high quality education in Finland and abroad. We export our expertise in pedagogical training, electronic learning environments, health care, business competence and assessment in education to customers all over the world. At the JAMK University of Applied Sciences, we want to offer the most entrepereneurship-oriented university of applied sciences for our students. Start your own international career by making a decision to study in Finland! At JAMK you can study a practically oriented Bachelor’s degree or Master´s degree in English. Just like our home country Finland, we are known for top-quality pedagogy and successful education. We provide teacher education programmes, continuing education and services as well as research, development and innovation activities. Our goal is to develop solutions to our customers' challenges. JAMK is a developer of business and promoter of export activity within bioeconomy. It creates new material economy and circular economy saving natural resources. Several areas of expertise are connected to bioeconomy (e.g. forestry, agriculture, industrial manage­ment, energy production, business economics and tourism). There is a strong centre of excellence in physical rehabilitation at JAMK and in the Jyväskylä region. Its activity supports the development of customer-centred, multidisciplinary rehabilitation and the growth of business through renewing education and producing new innovative solutions and digital services. JAMK is a significant national actor in education, RDI activity and services related to cybersecurity. JAMK’s central areas of expertise include cyber-preparedness, cyberinfrastructure and cybersecurity solutions. As a new, rising field JAMK invests in expertise in automation and robotics. Automation, robotics and machine vision are rapidly developing areas. The excellence of operations and results is important to us. With quality management we ensure the academic quality of our education, RDI activities and services provided. JAMK has received both national and international recognition for its high quality.